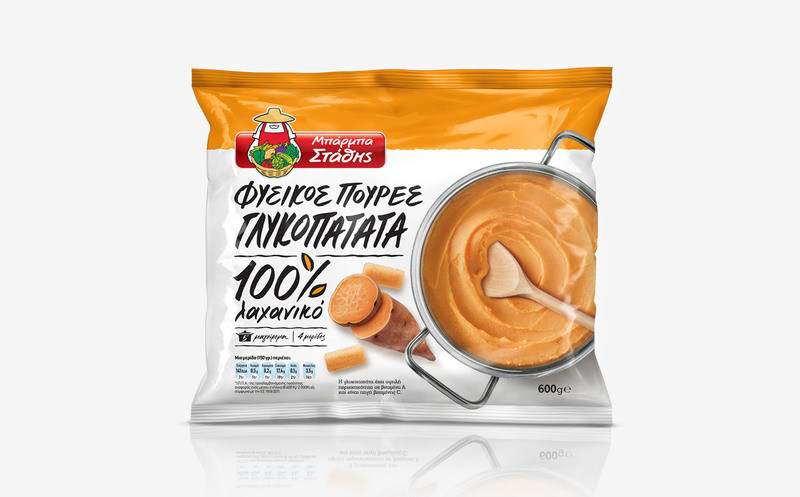 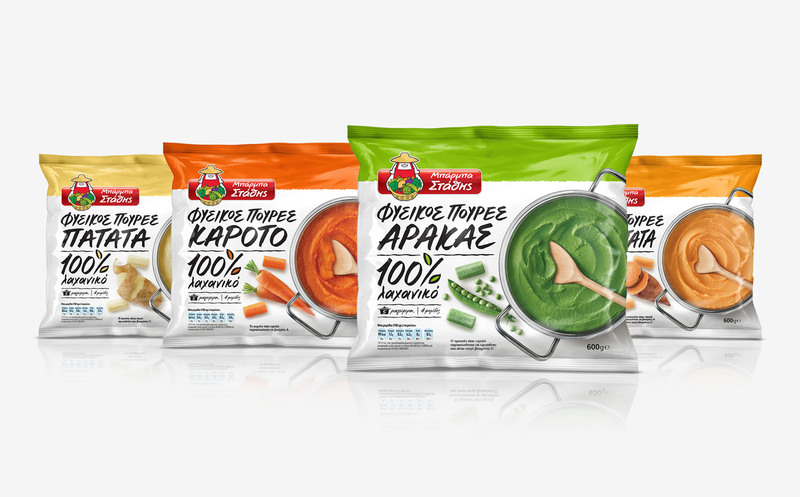 Barba Stathis, the undisputed leader in the Greek frozen vegetable sector needed a packaging design for a strategically important new line of pureed vegetables, the first such product in the market. 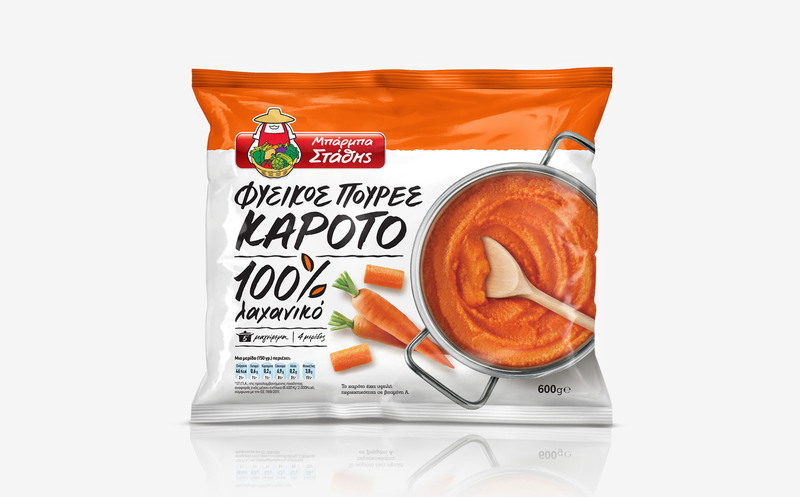 The design I developed focused on communicating the 100% pure vegetable nature of the product, which was essential for establishing what the product is all about. Strong graphic language was used to attract the consumer’s eye in a confident and honest manner. 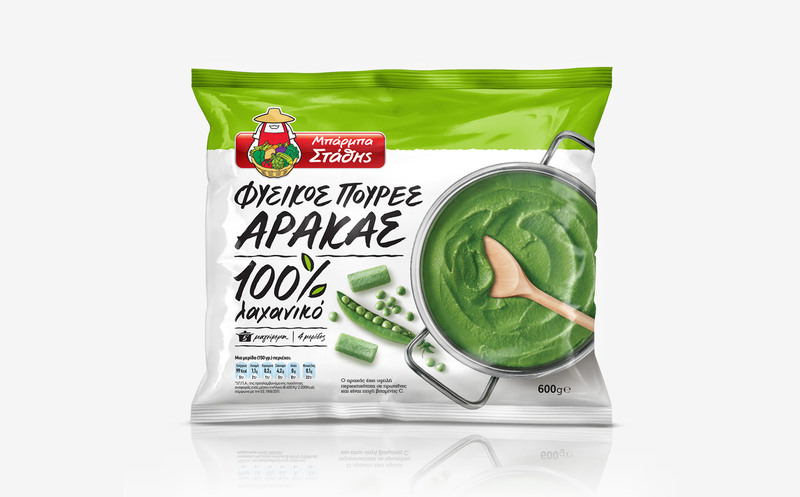 Finally the frozen pellets were used alongside the natural vegetables to further emphasize the purity of the new product and manage consumer expectations.